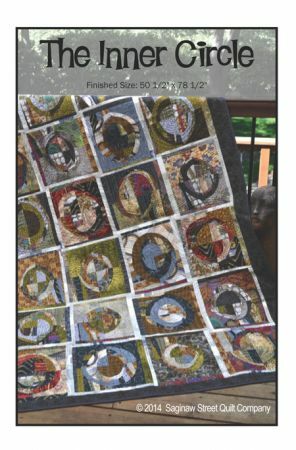 This quilt takes you off the traditional path and invites your to throw caution to the wind! A template is provided for the circles or you can draw your own, Or Both!! Either way - its's a lot of fun to make. It is also stash friendly, meaning if you happen to have a fabric stash, you can dive in and cut a variety of 8 1/2" x 8 1/2" squares for the blocks.